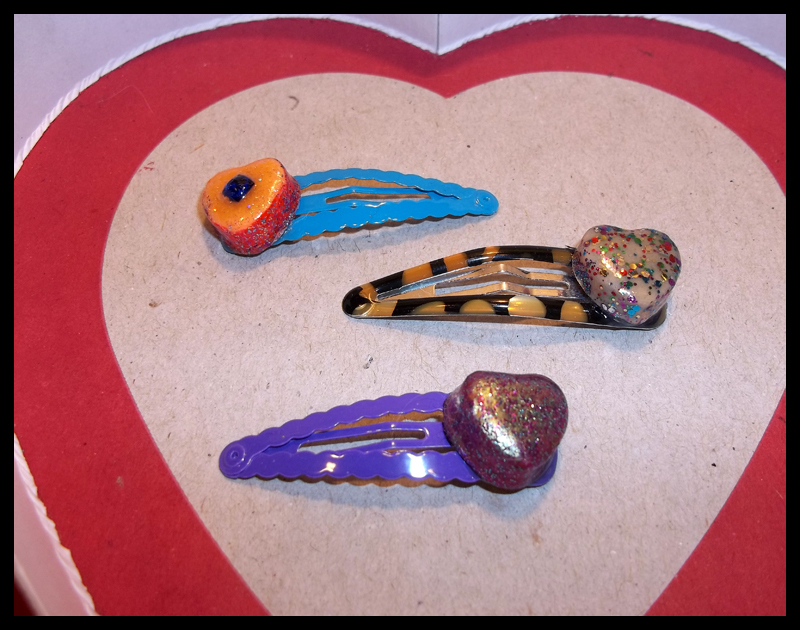 Single Candy Heart Hair Clips! • Orange Heart - Bright Blue Clip. • Glittery Pink Heart - Gold and Black Clip. • Purple Heart - Bright Purple Clip.